I run in the early morning before it heats up, so up until now, I’ve been able to get away tights or crops. But, this week the mornings are about 65 degrees, and that means shorts. I don’t love the heat, but oh how I love shorts. Here are some fun ones I have my eye on. Off to run 16. Next week is Peak week- finally. These legs of mine are working hard. The human body was designed to move. I’ve been surrounded by little ones for the last twelve years of my life, and it is so obvious that moving, running, dancing, and exploring are instinctive and somewhere along the way, adults lose that. Sad. The Garmin Vivofit is all about getting bodies moving. Love. I’ve been wearing mine now for one week straight and I’ve actually become a little obsessive about it. I have no problem with a daily step goal, for obvious reasons, but too often I am guilty of taking it too easy for the rest of the day. The Vivofit makes sure I move not just during my morning run, but all throughout the day, which helps me burn fat and calories all throughout the day. 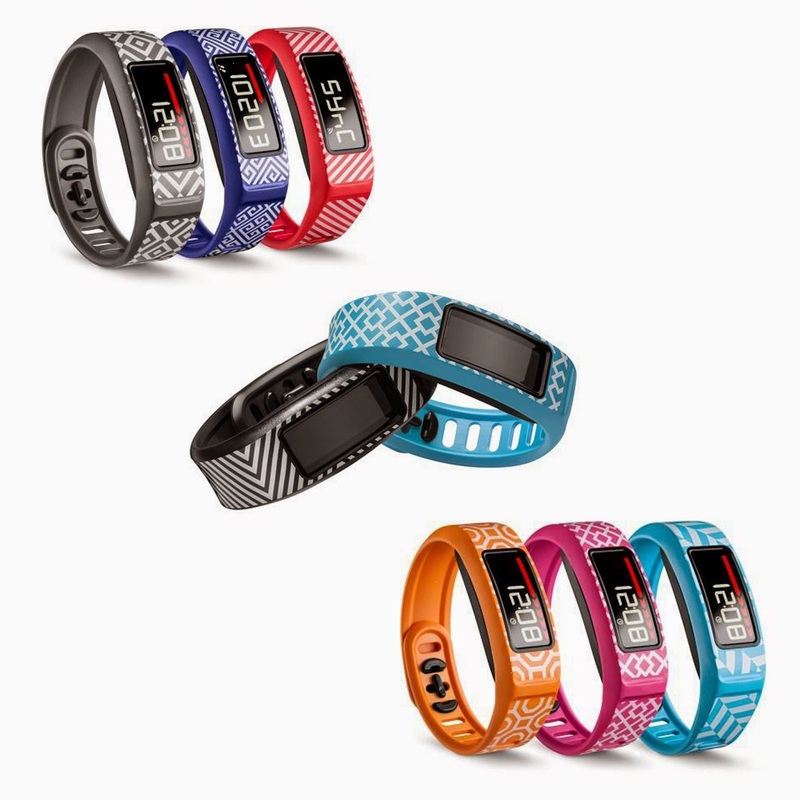 Garmin has just released a new set of bands in collaboration with famed designer Jonathan Adler for the Vivofit 2. They are so fun! Now my fitness tracker doesn’t look so much like a fitness tracker. These bands make it so easy to look cute and fashionable and still maintain your (okay maybe just my) obsession with daily calorie burn count and steps taken. If there was a club for people merging fitness and fashion, I would run for president so I am a big fan. Syncs with Garmin app on your phone to give you detailed information about your daily activity and sleep. Now the fun part- A brand new Garmin Vivofit 2 plus a pack of the Jonathan Adler bands can be yours!! Head to Instagram to enter!! I always tell beginners that finding the right shoes is essential. 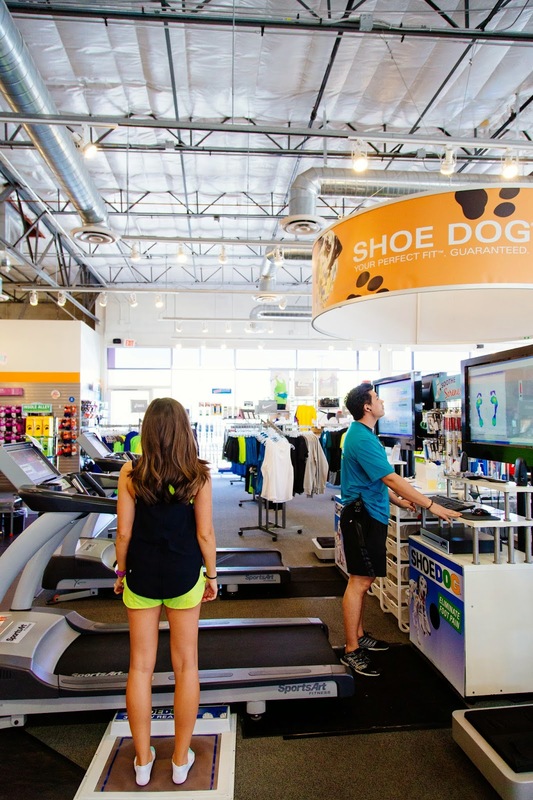 When they ask how to find the right shoe, I always point them towards the nearest Road Runner Sports. I had to wait my turn when I got there. As I waited they were helping a marathon/trail runner and an elderly man who needed better walking shoes for his nightly walk- the full spectrum. 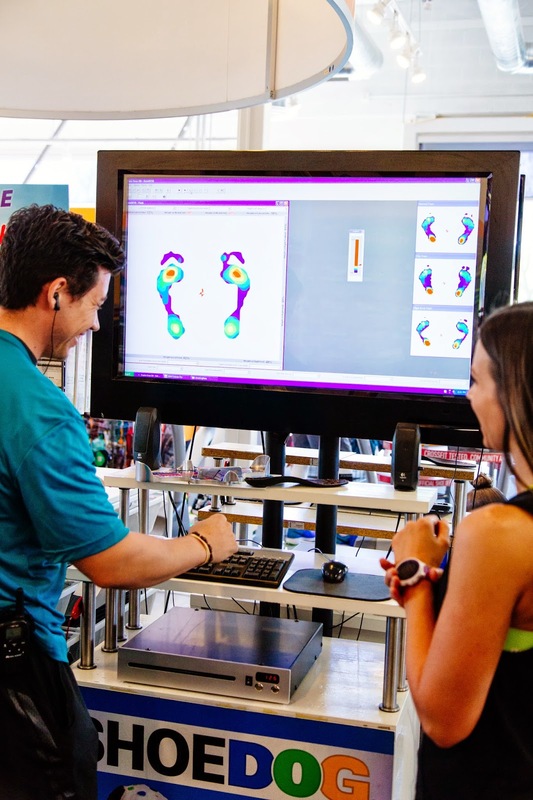 First they analyze your weight distribution on your feet. They record you running on the treadmill so that later they can analyze every little motion your legs and feet make while you run. This guy was super knowledgeable. Even though I had no need for the custom insoles, they fitted me for some anyway, so that I could experience what they felt like in a shoe. 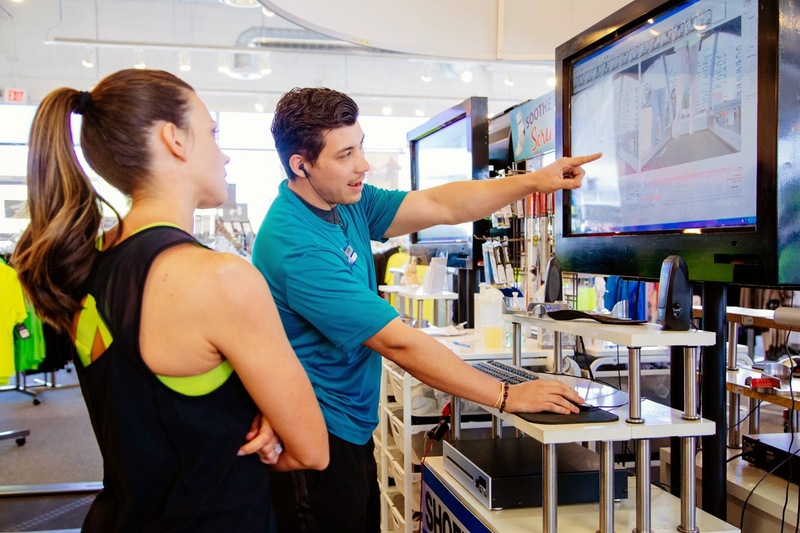 After all of these steps, they narrow down a few choices of shoes for you to try on. As I was trying on the shoes, I was asking this poor man a million questions about other shoes they carry (many were pretty technical) and he knew every answer! Pretty awesome considering how many pairs of shoes they have! Now for the fun part. 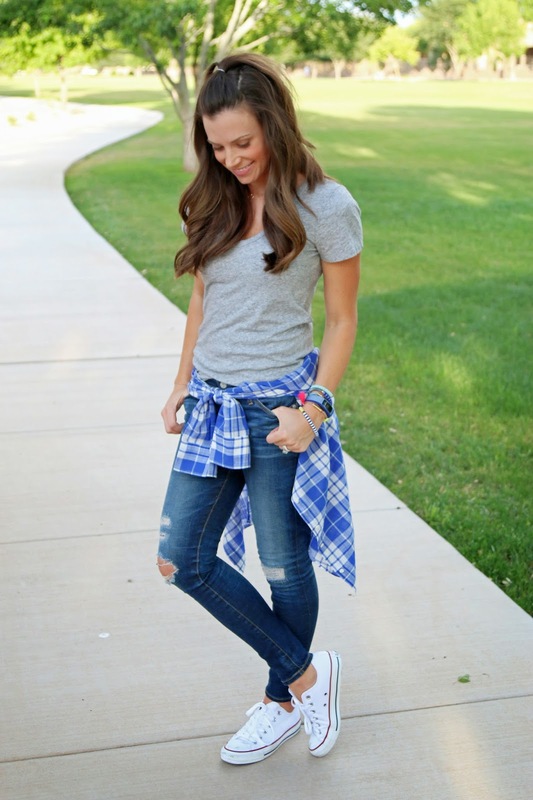 Road Runner is giving away one pair of running shoes to my readers! Head to Instagram to enter!! Good luck!! It inspired me to try out their active line. I did and I love!! Here are some picks for you. Who else is excited for Friday? !